From the Cascia'na Refuge at 2,601 metres above sea level, go down bridleway N172 almost to the valley floor then on the left join path N173 which runs past various 'te'e' up to Calcheira Bridge P3. 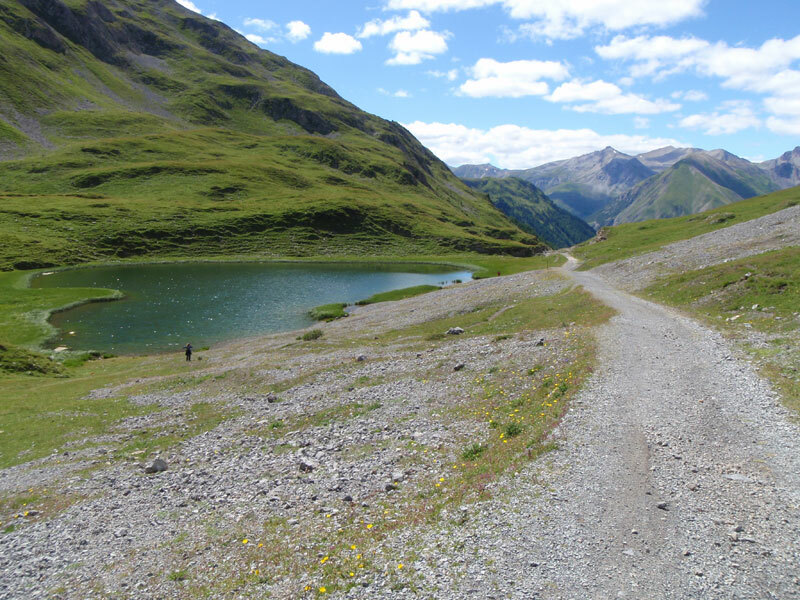 From here take the paved cycle path towards the Lake of Livigno, along the Federia stream, which passes close by the Aquagranda Wellness Park Centre where you can take a relaxing break. Continue on the cycle path to the Livigno Dairy and then take the flat bridleway path N138, on the right bank of the Lake of Livigno up to the Alpasge'la refuge. 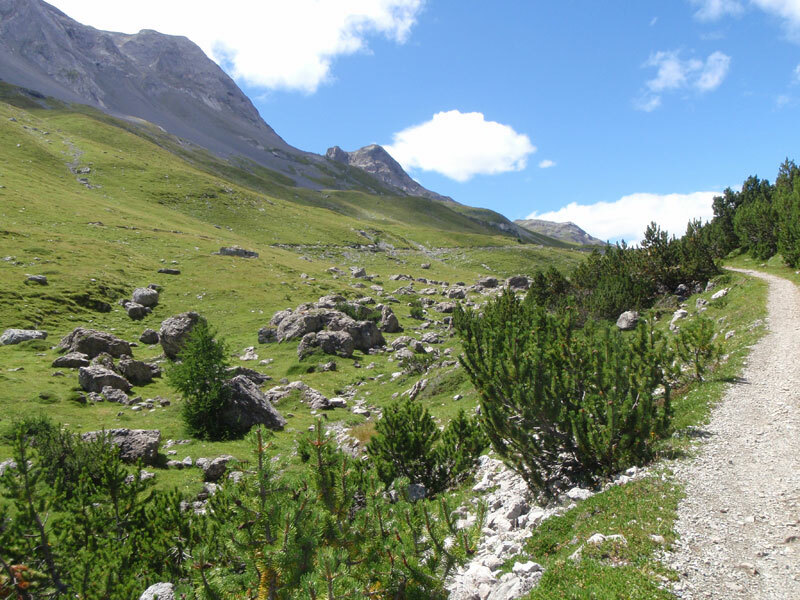 From here, in the Stelvio National Park, the trail becomes narrower and then enters a forest of mountain pines that gradually intermingles with larch and fir trees. 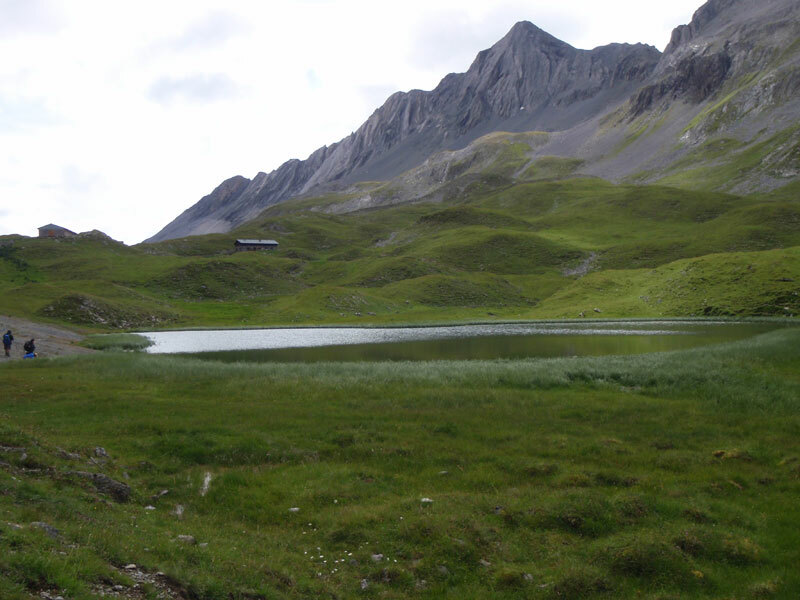 After Pontin da l'Alpasge'la, the trail gets steeper then finally levels off at the Val Alpisella Pass.Aquagranda Wellness Park The biggest wellness centre in Europe, it is 20,000 square metres in size as is divided into various areas designed to satisfy all needs, from family and sports to pure wellbeing.